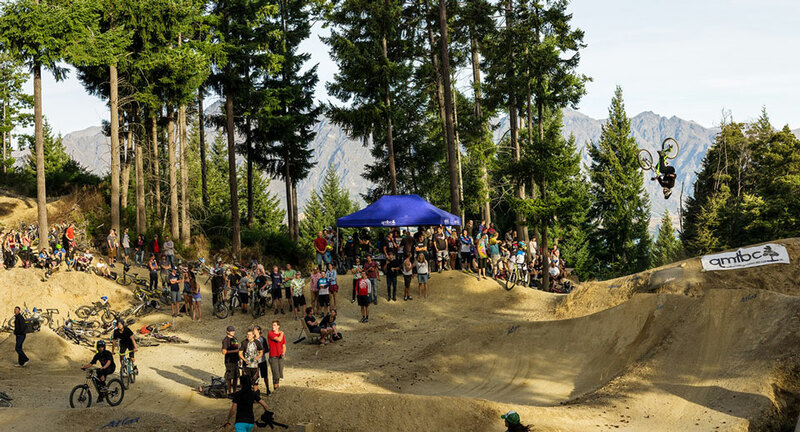 A great night was held on Friday for the first Wynyard Jam of the year with a huge turnout of riders and spectators, the BBQ selling out and heaps of spot prizes from local bike shops. The girls were out in force, some hitting Mini Dream for the first time, and Casey Brown and Harriet 'Bob' Latchem were sending the big hip as well. You'd have expected Conor Macfarlane and McGazza to be standouts but Emmerson Wilken picked up his game by flipping and tailwhipping the step up and then flipping Dreamtrack for the first time later in the night. Casey also rode the first three jumps of Dreamtrack making her the first girl to man up to the big line—she's awesome. Rowan Saunders gave everyone a fright by nose casing the road gap on Dreamtrack and rag dolling down the landing, but it's so steep he didn't actually hurt himself. It was such a successful night that we'll definitely run some more. Watch this space for a best whip comp in a few weeks.